This Slim Sleeve from Incase Designs is designed for the 13" MacBook Retina. 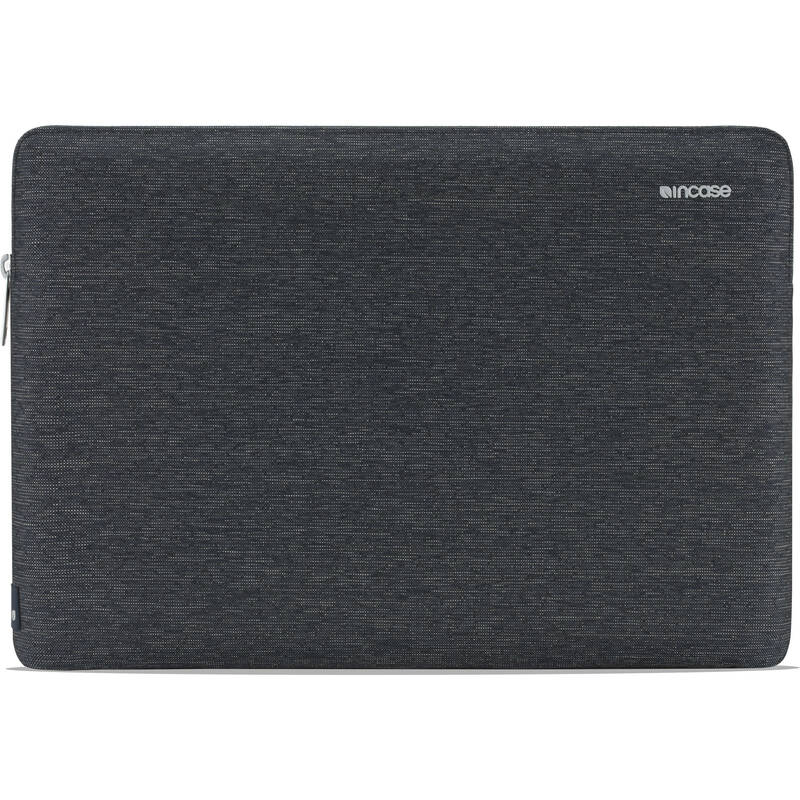 It features plush faux-fur lining to protect your device from bumps, dust, and scratches, as well as Durable 300D heathered weave Ecoya material that's eco-friendly and holds onto dyes and pigments longer without fading. Box Dimensions (LxWxH) 13.75 x 9.9 x 1.65"
Slim Sleeve for 13" MacBook Retina (Heather Navy) is rated 5.0 out of 5 by 2. Rated 5 out of 5 by Haven from Good Buy For my needs and price paid this is pretty much perfect. MacBook slides in and out easily and is well protected. Can I use this sleeve with the MacBook Pro 13.3 ? Yes this item Fits 13 MacBook Pro &amp; Pro Retina. I have the new late 2018 MacBook Air, will it fit this sleeve or is it too large ? It fits well, probably as well as it fits the Pro (I believe they're the same dimensions). I purchased it for the Air as well. There is a slight bit of wiggle room on the shorter dimension but not enough where I find it to be a problem. I don't know that I would want it tighter anyway&mdash;I wouldn't want to have to force it in.